Sorry! 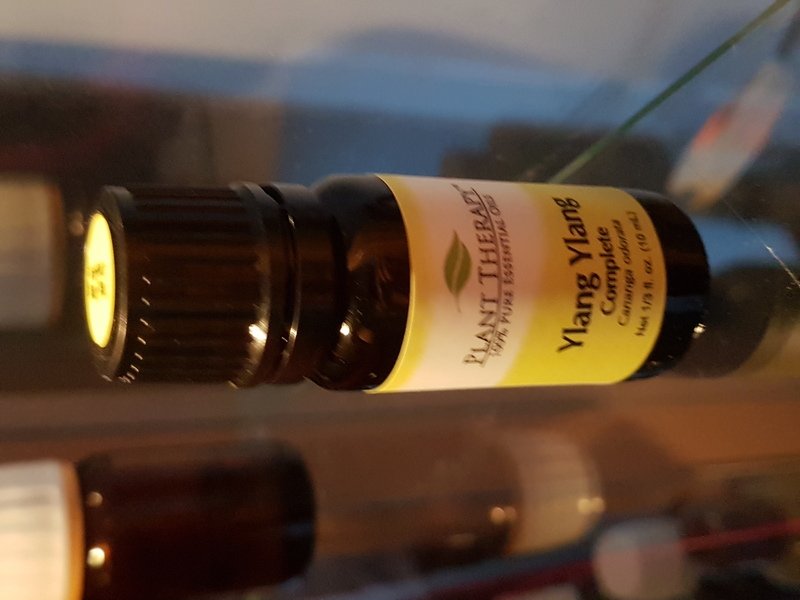 We are currently sold out of "Ylang Ylang Complete Organic Essential Oil" Please select another size or sign up for our Wait List to receive stock notifications. Bergamot, Black Pepper, Cedarwood, Copaiba Balsam, Geranium, Grapefruit Pink, Jasmine Absolute, Mandarin, Neroli, Peppermint Western US, Petitgrain, Sandalwood Australian, and Vetiver. Possible skin sensitization. 0.8% Maximum Dilution for Topical Applications. Organic Ylang Ylang Complete Oil is steam distilled from the beautiful blossoms of the ylang-ylang tree (a name given by the Malay people meaning "flower of flowers"). The warm, sweet floral scent of Organic Ylang Ylang Complete Oil conjures fragrant warm breezes of the South Pacific. Organic Ylang Ylang Complete Oil is well known as an aphrodisiac and can be wonderful in a romantic massage blend. It eases the mind, releases nervous tension and helps the whole body relax. Ylang Ylang is also used to help retain moisture in the skin and hair. To help calm a frazzled mind, diffuse a drop or 2 of Organic Ylang Ylang Complete Oil - you don't need much, as the aroma is powerful and heady. For a sensual massage oil blend, add 1 drop Organic Ylang Ylang Complete, 2 drops Sandalwood, and 2 drops Bergamot in two teaspoons (10 ml) carrier oil. To deep condition your hair, dilute with Fractionated Coconut Oil to 0.8% and massage into roots. And, of course, you can dilute Organic Ylang Ylang Complete and dab on pulse points as a natural perfume. Smells floral but warm and not too strong but not weak either. Will be using often. Not my favourite smell. Reminds of me of lilies, which I also don' t enjoy. I probably wouldn't order this oil again. Hi there! We are so sorry to hear about your experience with Ylang Ylang Complete Organic! We went ahead and sent you an email to try to help provide you with a better experience! Please feel free to respond, at your convenience! I use this along withn3 other essential oils in my diffuser every night to decrease my BP. I love the smell from my diffuser and it relaxes me. Plant Therapy oils are very reasonably priced and smell heavenly! I haven't used this oil yet, but I'll definitely use it for my Wedding day blend. I love how quickly I received this oil after ordering it. It smells delightful and I appreciate Plant Therapy's organic options. I am newly pregnant and Ylang Ylang was on the short list of oils my OB-GYN told me were pregnancy safe to use. Enjoying every bit of it!